Complex, fleeting, and capable of catapulting us decades back in time with a single whiff, our sense of smell is our most elusive and inarticulate sense. 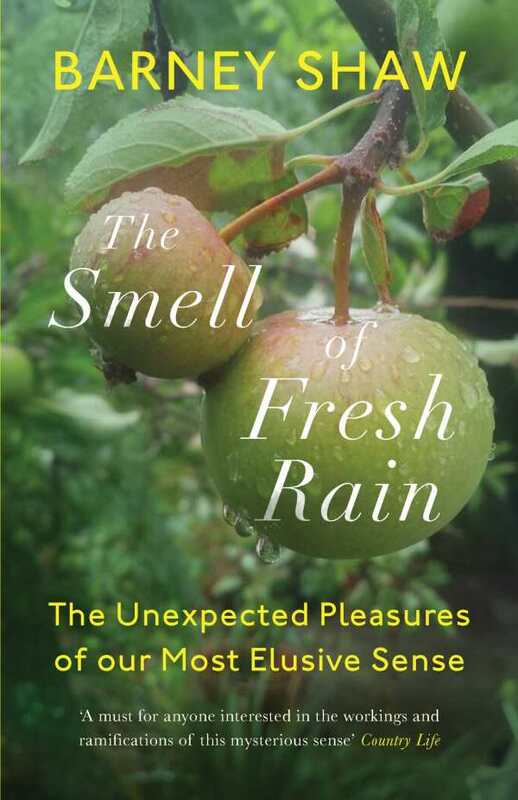 Barney Shaw’s The Smell of Fresh Rain brings science, a forensics-level sense of curiosity, and poetic imagery to a joyful celebration of the life-enhancing abilities of the lowly nose. It was a question posed by Shaw’s blind-from-birth musical savant son that drove him to become an epicure of smell. “What does three o’clock in the morning smell of?” his son asked. Intrigued, Shaw dove into a quest to understand the mechanism of smell and supply a vocabulary that everyday people could use to describe its varied pleasures. The book reveals how smells speak a language of our personal past: of home, family and friends; of foreign places; of seasons; of our ties to the earth. They also warn us of danger; of illness; of the presence of something unfamiliar, unlike us, and to be wary of. As much as they enhance our enjoyment of food and drink, they can also be highly irritating or embarrassing—so much so that billions are spent to mask or eliminate unpleasant or characteristic smells, leaving many environments devoid of their particular, most memorable scents. With the devotion of a good sommelier describing fine wines, Shaw takes his nose, and by extension, ours, into the kitchens, streets, markets, garages, farms, and seashores around him to unravel and savor the meanings and delights of smell. His encounters with the bemused English country- and city-folk are often laugh-aloud funny as they playfully join him in his quest. The smell of a Wellington boot? Of hydraulic fluid? Of ripe cheese, manure, coffee, and paint? These and more are explored in a book that is filled with wonder, surprise, and delight.